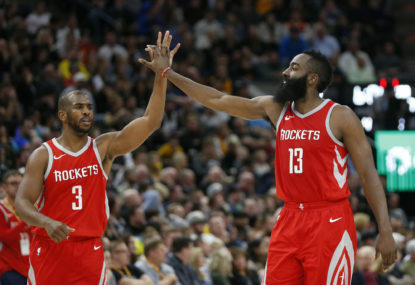 Chris Paul is heading to Houston to join James Harden, giving the Rockets two All-Stars in the backcourt to lead their chase for an NBA championship. In the league’s second blockbuster trade in less than a week, the Rockets acquired Paul from the Los Angeles Clippers on Wednesday in exchange for Patrick Beverley, Lou Williams, Sam Dekker, Montrezl Harrell, Darrun Hilliard, DeAndre Liggins, Kyle Wiltjer, a protected first-round pick next year and cash considerations. The Rockets acquired Hilliard from Detroit and Liggins from Dallas for cash considerations before adding them to the deal. “It’s a weapons race in the NBA and you’re either in the weapons race or on the sidelines,” Houston general manager Daryl Morey said. Both the Clippers and Houston will look far different next season than they did in again falling short in the playoffs. The roster overhauls came five days after Minnesota sent three players to Chicago for All-Star Jimmy Butler to kick things off with NBA free agency opening on Saturday. The 32-year-old Paul will be playing for his third team after opting in for the last year of his contract so the Clippers could work on a deal. Morey wanted to get this deal done early so Paul could help Harden woo free agents to Houston. Paul is a nine-time All-Star who has averaged 18.7 points, 9.9 assists, 4.4 rebounds and 2.3 steals over his 12-year career, though he has been dogged with criticism in recent years for failing to help the Clippers get out of the second round of the playoffs. 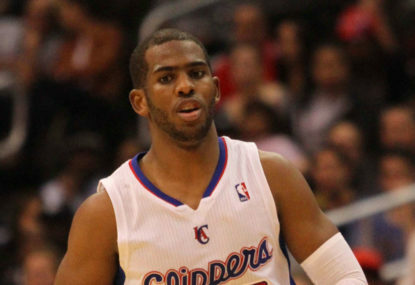 Los Angeles reached the postseason in each of Paul’s six seasons with the team, but the Clippers were eliminated in the first round three times and in the Western Conference semifinals three other times. 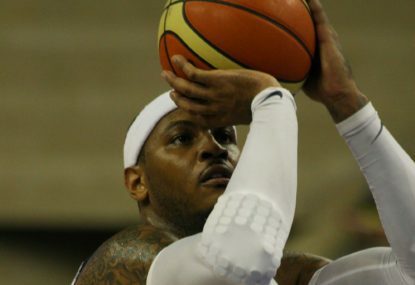 About five years after pursuing him in NBA free agency, Chicago have landed Carmelo Anthony but, just like then, he won’t suit up for the Bulls. 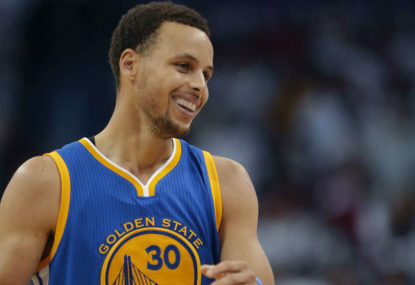 The NBA season is finally rounding into something that makes sense: the Rockets and Celtics are no longer bad, the Clippers and Grizzlies are no longer elite, and the Warriors keep calmly counting down the days until their challenger never comes. James Harden will be MVP, but is he the best player in the league? 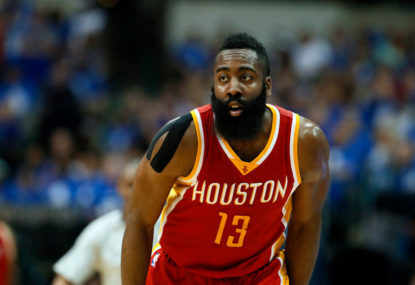 James Harden is a great scorer and passer, but although he possesses the ability to take control of games with his god-like skills on the offensive end, he has shown in playoff runs – and specifically this year – that he lacks the leadership component. The stuff that makes the greats, great. It’s winner takes all with a spot in the NBA Finals on the line as the Houston Rockets host the Golden State Warriors in Game 7 of the Western Conference finals. Join The Roar for live scores and coverage from 11am (AEST).